Restaurant owner Kelly Duncan gazes incredulously at a full Lake Lavon. Three months ago, this lake northeast of Dallas was half-full. Good rainfalls in March and April brought big changes -- the U.S. Army Corps of Engineers released water this week from the full lake to reduce flood risk. "I forgot what it looked like when it was full," the 59-year-old owner of Big Daddy's Roadhouse BBQ said. "It's looking really good." 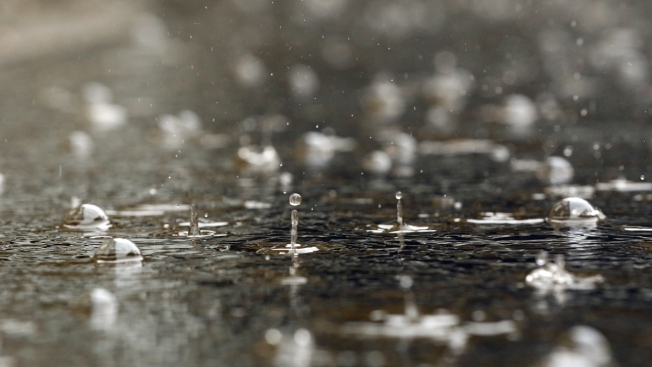 Statewide, estimates from the National Weather Service indicate the first four months of this year have been the fifth wettest since 1895 and the wettest since 1997. So far this year, estimates show the state has gotten 11.5 inches of precipitation, or about 160 percent of the normal 7.1 inches. March and April each provided 200 percent of the state's normal rainfall. And the news going forward is good. A weaker-than-anticipated El Nino that brought with it rain, snow and sleet to Texas is expected to persist and intensify through next winter. This summer's temperatures may be the lowest since 2007-2008, according to state climatologist John Nielsen-Gammons, which could lead to less evaporation from lakes, weather officials said. Also, the state's wettest two months -- May and June -- are still ahead. "There are a lot of positive things to look forward to, both short-term and long-term," Fort Worth NWS meteorologist Victor Murphy said. It's been a long slog since 2011, Texas' driest year ever, and despite significant improvement, weather officials say the drought still isn't over. Nearly 16 percent of the state is in the top three driest categories, according to this week's U.S. Drought Monitor Map. Two percent of the state -- including Palo Pinto County north to Wichita County and west into Childress County -- remain in the driest, or exceptional, category. Lakes in the Dallas-Fort Worth area are faring well. Across the seven reservoirs serving Dallas County, lake levels are up nearly 30 percent from three months ago, at 94 percent full on Friday. Fort Worth's seven reservoirs were almost 82 percent full Friday, up from 63 percent three months ago. Other areas too have gotten good precipitation, including Houston, Corpus Christi and Midland. The Edwards Aquifer, which serves San Antonio and much of the Hill Country, has risen nearly 20 feet since Jan. 1. Joe Castro, who owns Anchor Bay Marina at Lake Lavon, said the higher lake level would benefit his business following a few down business years. "(The benefit has) already shown itself," he said. "We've been renting slips regularly."